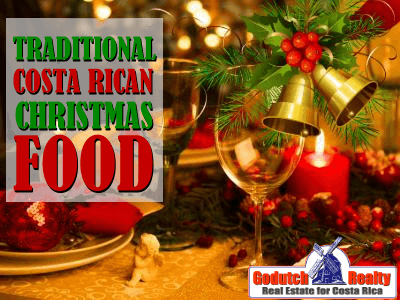 Traditional Costa Rican Christmas food is probably much different than what you used to eat during the Christmas holidays when you grew up. 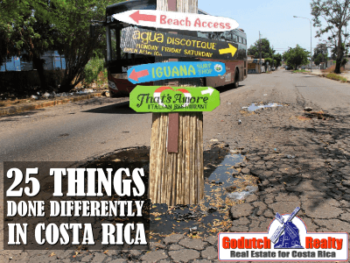 Getting used to local food in Costa Rica might be harder than you think, as Tico taste buds are very different than yours (and mine). 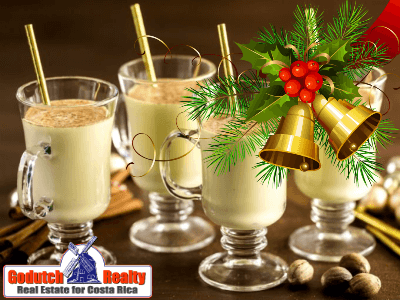 The use of spices and the main ingredients used in Costa Rican Christmas food in Costa Rica are quite different than your own. In Holland, we usually have duck, deer, rabbit, salmon, or turkey for Christmas. In Canada, Christmas food includes tourtière, butter tarts, Nanaimo bars, brussels sprouts and yule log. And in the US, Christmas food includes prime rib, roast turkey or duck, Christmas ham and pecan pie or pumpkin pie. 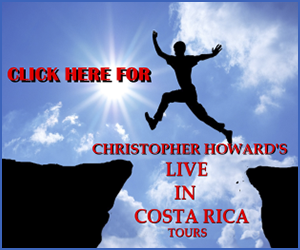 Christmas dinner in Costa Rica consists mainly of roast pork with rice or mashed potatoes and vegetables. Ticos have their Christmas dinner after Misa de Gallo, Christmas mass. Those who don’t go to church, usually have their dinner at 10 pm or even earlier. 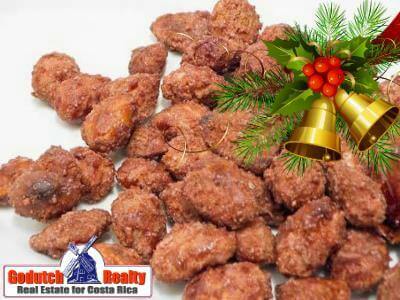 Let’s go through some typical traditional Costa Rican Christmas food, so you have an idea what I’m talking about. 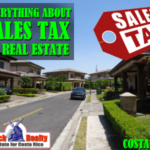 Do yourself a favor and give it a try. It’s not necessary to go totally native like I did, but at least give it a shot. 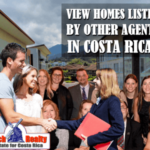 You might even think about becoming a Tico or Tica one day. El Rompope is homemade eggnog, used as a traditional Christmas cocktail, before the Christmas dinner. 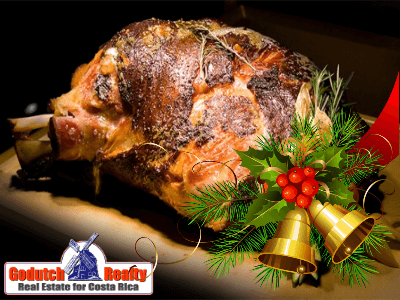 The traditional Christmas dinner is a roast pork, or pierna de cerdo asada. The roast pork can be accompanied by anything. Therefore, you will probably see the pork roast to be accompanied by rice, beans and some vegetable like chayotes. Very important traditional Costa Rican Christmas food is the Tamal navideño. Traditionally, tamales are cooked during the first weekend of December. Ticos will eat a tamal for breakfast, lunch or at any time during the day. Tamales are now consumed during the whole year but are traditionally made for Christmas. It contains ground corn, pork, carrots, rice, sweet pepper, achiote, wrapped in a plantain leaf and cooked. 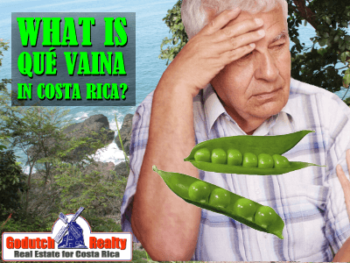 Do not eat the plantain leaves. 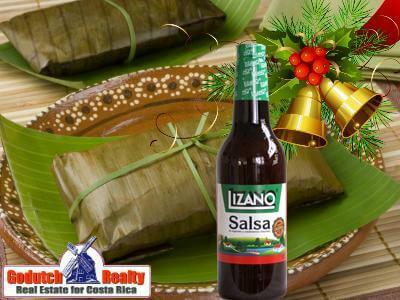 It is especially relevant that the use of Salsa Lizano on the tamal is very important. Salsa Lizano is the most famous Tico sauce. 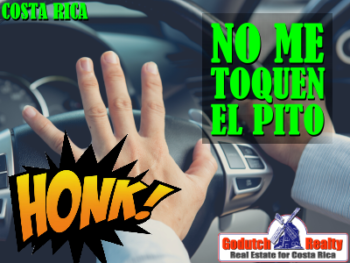 Any Tico swears by it, especially used to jazz-up Gallo Pinto or a tamal. I know Ticos who will not eat any regular or traditional Christmas food without it. This sauce is a bit like a Worcestershire sauce. El Queque Navideño is a Christmas cake. 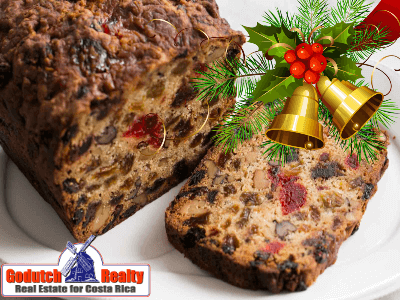 The typical Costa Rican Christmas cake is rum and candied fruit based. Also, companies use this cake as a customary Christmas gift, especially to employees. Las Manzanas Escarchadas are candy apples. 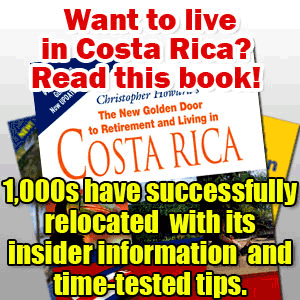 They are mostly sold at the Fiestas de Zapote at Christmas time. 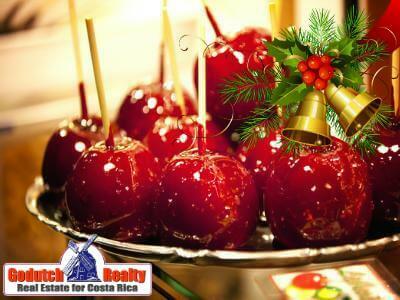 Ticos like sweet delicacies like candy apples and maní garapiñada a lot. El Mani Garapiñado is an almond and hazelnut covered peanut. 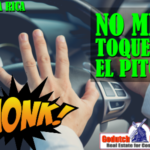 They are not only sold at the Fiestas de Zapote at Christmas time, but you can find them in the grocery store too. 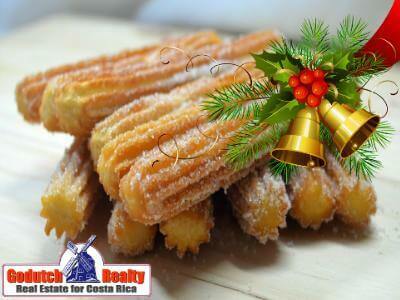 The Costa Rican churros served during the Fiestas de Zapote are usually not filled and covered in sugar. Often there is also a choice of caramel or chocolate filled churros. 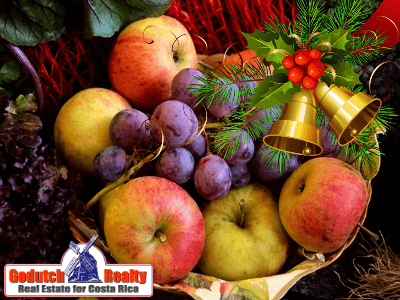 Ticos eat grapes and apples, uvas y manzanas, like crazy during the Christmas holidays. 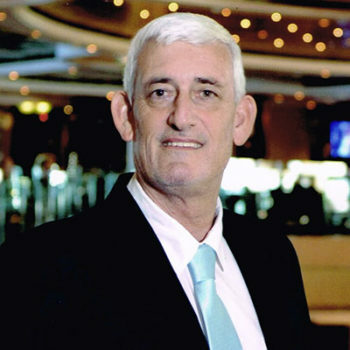 It is customary for companies to give their employees a Christmas basket with grapes, apples, Christmas cake and other delicacies. I have not been able to find out where this tradition comes from. Also, 12 grapes are used on new year’s eve for their New Year’s wishes, but more about that in another blog. 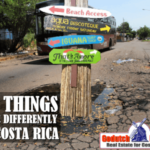 I hope you are able to eat some traditional Costa Rican Christmas food with friends and family without having to go native. Although I can assure you that making tamales is a happening and a lot of fun. Buen provecho and happy holidays! 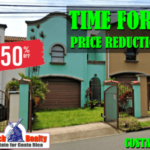 In conclusion, do NOT forget to pay your housekeeper and gardener their aguinaldo and wish them happy holidays too!